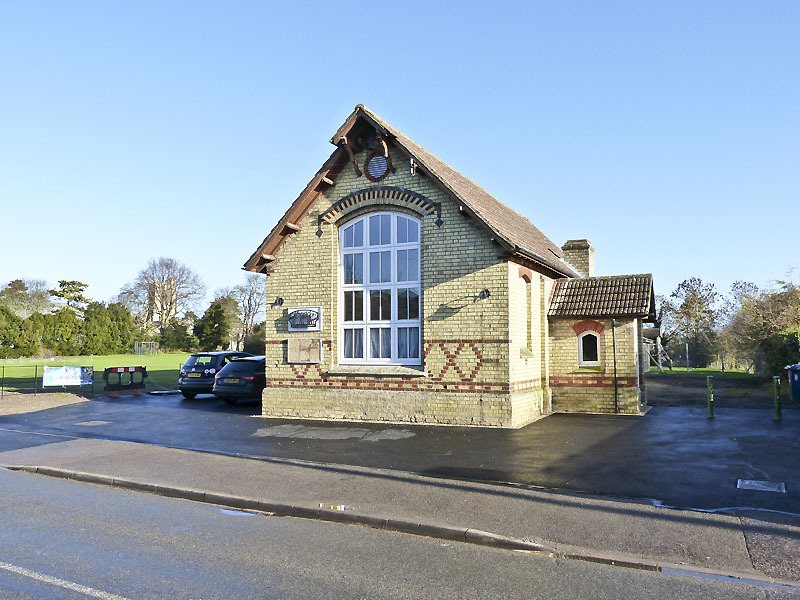 Whaddon's Village Hall was actually built in the 19th century as the Village School, and became the Village Hall after the school closed in the 1960s. At that time a modern extension was added to the rear of the building. 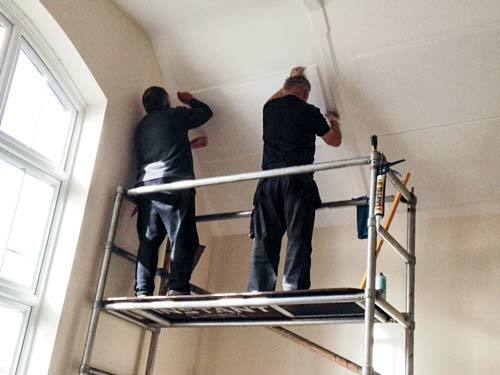 It has recently been refurbished completely The hall and recreation ground is owned by the Parish Council and managed by a Trust on behalf of the village. 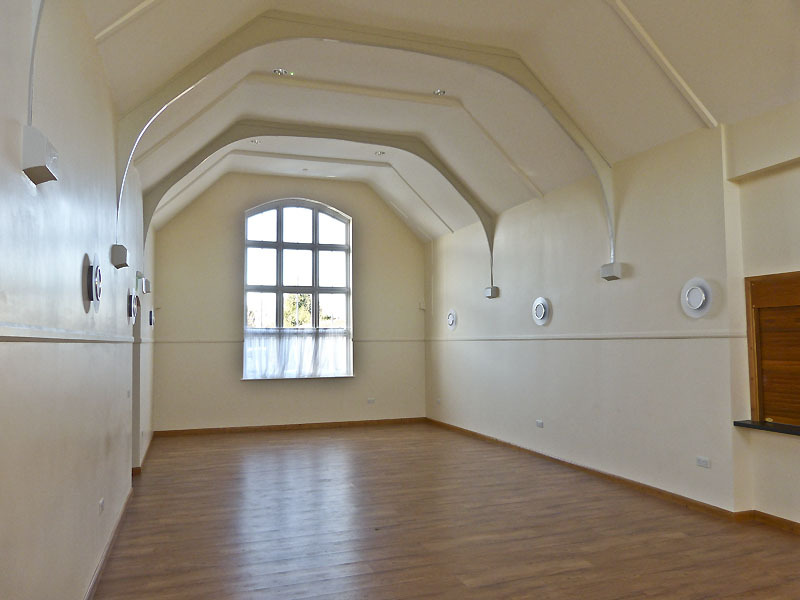 The hall is available for bookings. There is also a marquee for hire. See the Contact tab for information. 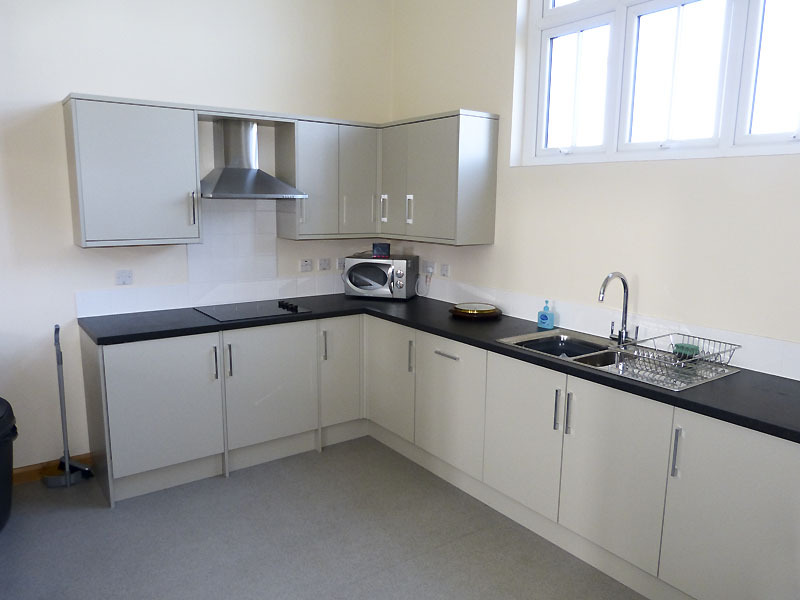 The address is 125 Church Street, Whaddon SG8 5RY. 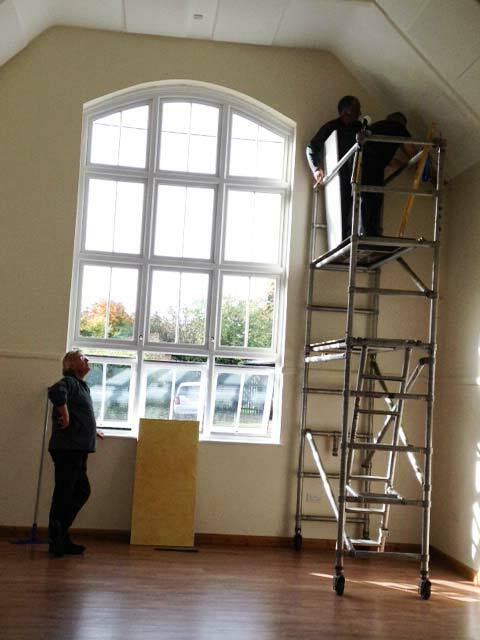 Charges for hiring the Village Hall will be rising in September 2017. This is the first increase since the refurbished hall was opened in 2014 and the rates are still very favourable. The village rate will be £7 per hour and that for those outside Whaddon £11. This of course only applies to new bookings. Following our recent request, we are delighted to report that three new Trustees have been elected. Our thanks to Steve Coningsby,Wendy Scott and Bob Strawbridge for offering their time! 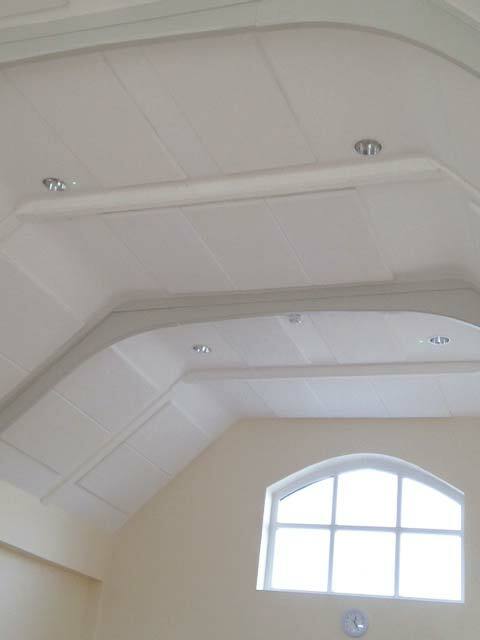 Acoustic panels have been fitted in the hall to improve the sound quality. Thanks to Pete and Steve Coningsby and their crew for their hard work. Photos below. © Karen Coningsby. The bookings over the next few days are summarised above. For dates beyond them, use the Village Calendar to browse to see if there is space available at the time you would like to make the booking. The Village Calendar default is to view it by the week; you can use the arrows to move back and forwards by week, or you can change to the month view. 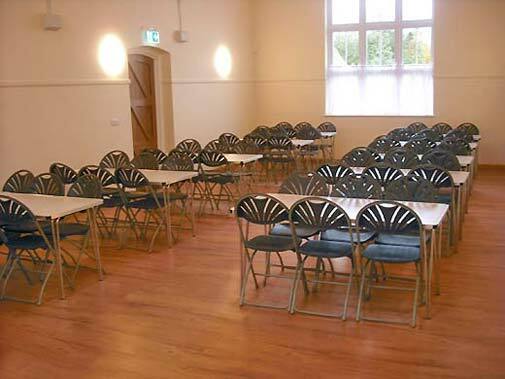 If the hall looks free, please contact us via whaddonhalltrust [at] whaddon.org and you will be informed formally of the availability and of the next actions you need to take. These will include filling out a booking form. A fillable PDF booking form is located here (download the file and use Adobe Acrobat for best results). When you have an agreed booking, the keys may be collected from a box on the outside of the hall. Instructions will be provided. 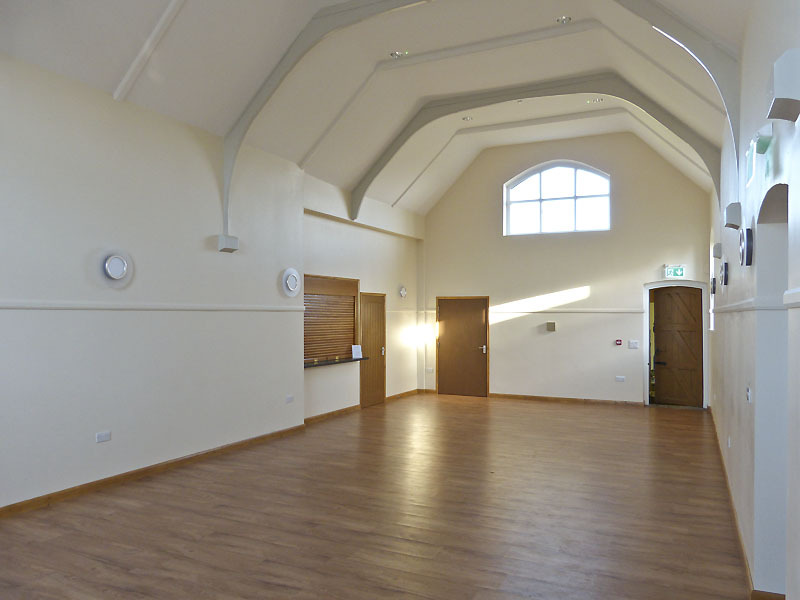 The following pictures of the refurbished hall were provided by Wendy Evans, Lee Ginger, Karen Coningsby and Nigel Strudwick. Download the file and use Adobe Acrobat for best results when completing fillable forms. 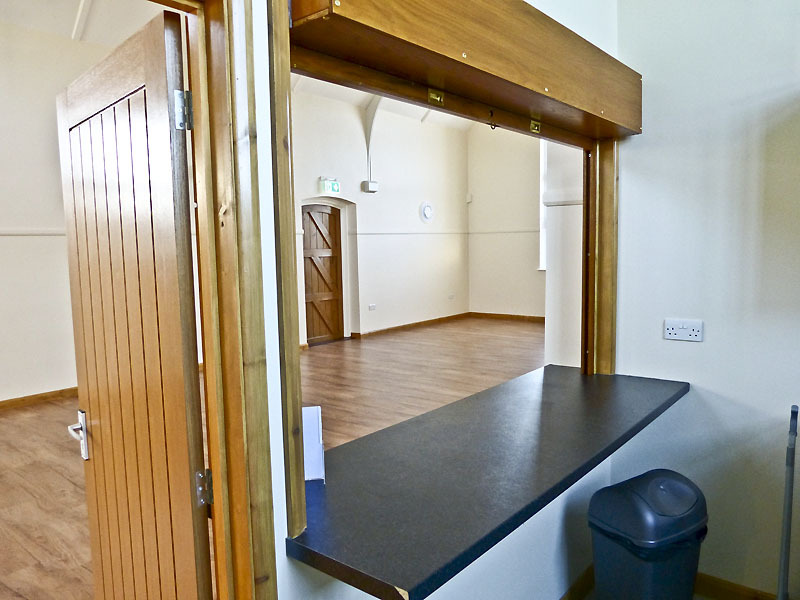 Meetings usually take place at 20:00 in the Village Hall on the first Monday of alternate months, but are subject to change. Agendas will be added above at the appropriate times. Some members have consented to have their telephone numbers given out as above. Otherwise Individual members can be contacted via whaddonhalltrust [at] whaddon.org. This is the address that should also be used for booking enquiries for the Hall. 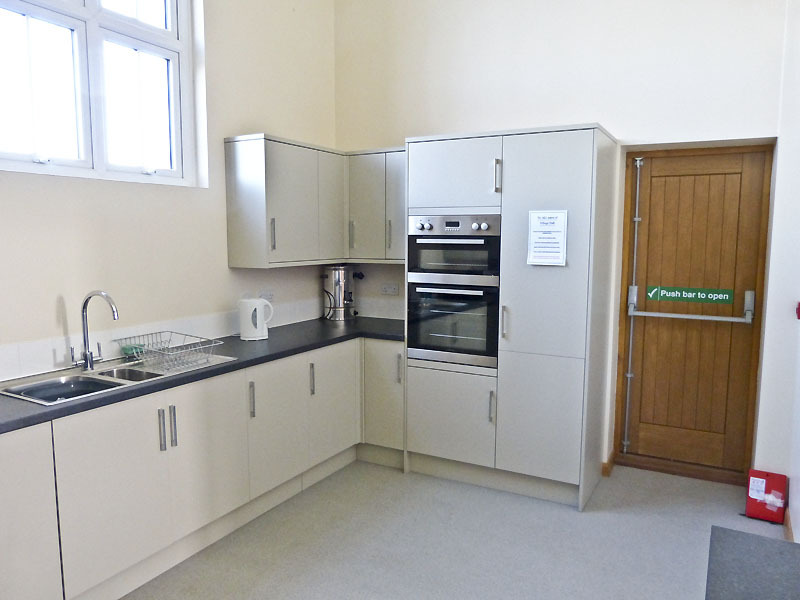 Since November 2010, the Hall and Recreation Ground have been managed by a Charitable Trust, running these facilities for the village on a long lease from the PC. The Trust's Charity number is 1140851. The Trust held its first meeting on 15 November 2010, at which point its membership was confirmed and officers elected, all to hold office until its first AGM in 2011. Charity law requires a trust such as this to have a majority of members nominated by users of the hall and rec, as well as a number of elected members. The latest report from the Trust is available on the web site here. 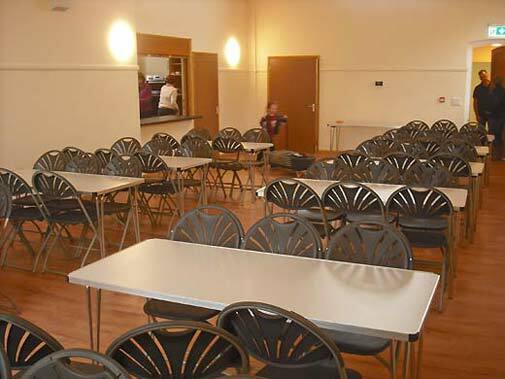 A coffee morning will take place on the second and fourth Wednesdays of every month in the Village Hall from 10:30 to 12. All of course welcome. Cost £1.50. 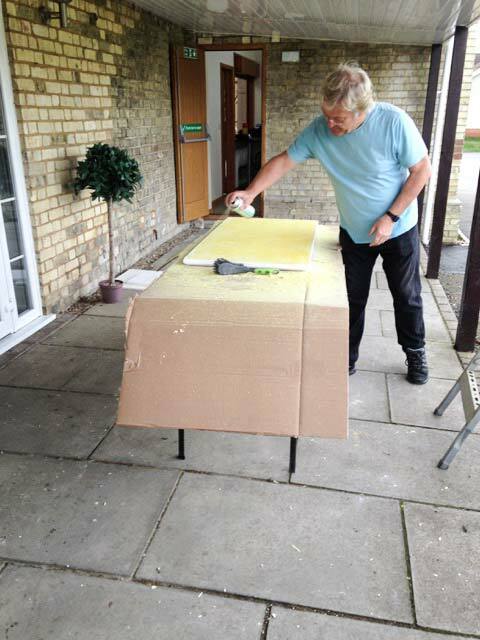 The Mainly Gardening Club meets in the village hall on the third Wednesday of each month from 19:30 to 21:00. More details are available on the Community page, found under the Activities menu item. South Cambs Dog Training Club hold regular classes on the Recreation Ground most weekends. Visit their web site for further information. 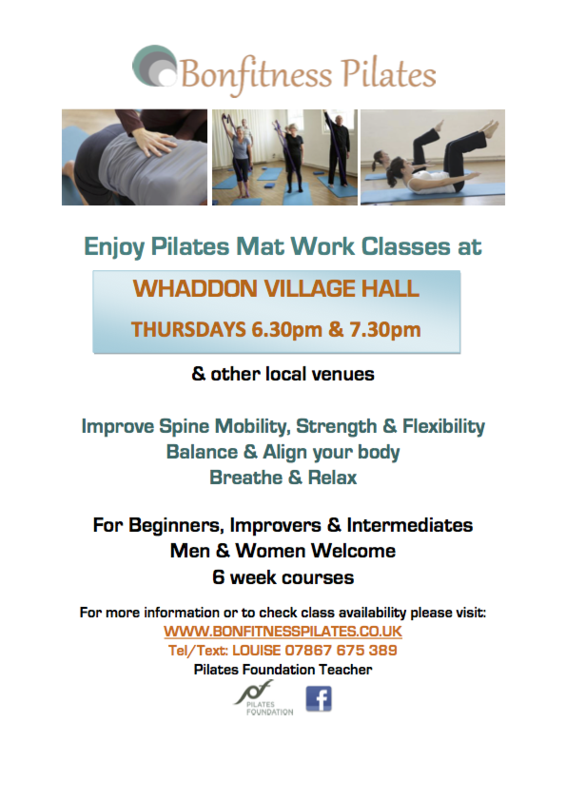 Bonfitness Pilates holds regular classes in the Village Hall. Visit their web site for more information. 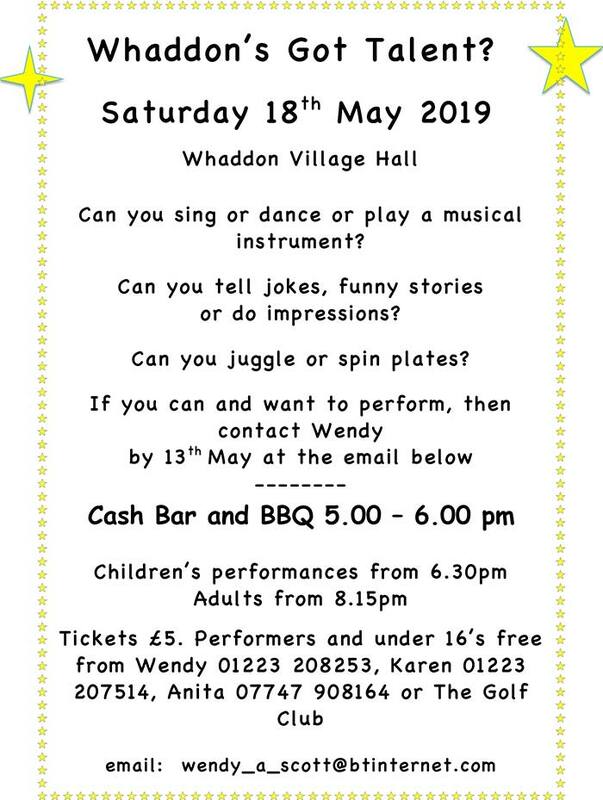 On 18 May, we are holding an evening on which the entertainment will be provided by Whaddon. Our stars will be villagers who are content to get up and entertain the rest of us. Please see the advert below, and if you can do a turn, get in touch with Wendy to express your interest!